Begin your vaping journey with a vape pen that will provide enthusiast level flavor and vapor production without the concern of complicated box MODs. Smok has provided the beginner with an accessible and powerful vape pen that is far removed from high resistance mouth to lung devices. 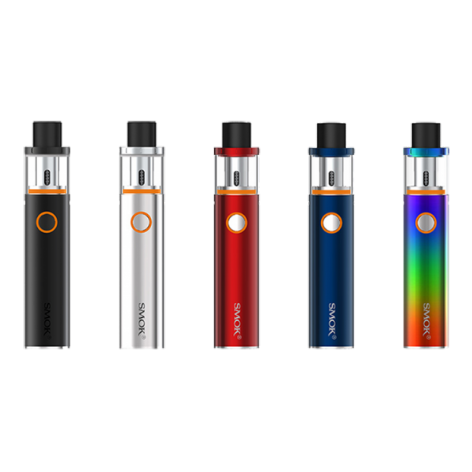 The Smok Vape Pen offers all of your vaping needs packed into one device with an internal tank and a 1650mAh internal battery. Smok's Vape Pen 22 provides direct output voltage with streamlined safety protections including short circuit, low resistance, low voltage protection and over current protection. Vape while you charge with safe and convenient pass through charging capabilities. This bottom airflow vaporizer provides the vaper with wide open airflow and simply unmatched flavor! Begin your vaping journey with a Smok Vape Pen 22 Starter Kit today!